Storyland is always looking for people who are positive, passionate, and hard working to join our crew. Employees and volunteers should have a love for storytelling and the community. We look for people who strive for Storyland’s mission to create an exciting, educational, and easily accessible entertainment venue for families and children in our Valley and expect all Storyland volunteers and employees to act with kindness and respect towards children, park patrons, and colleagues. 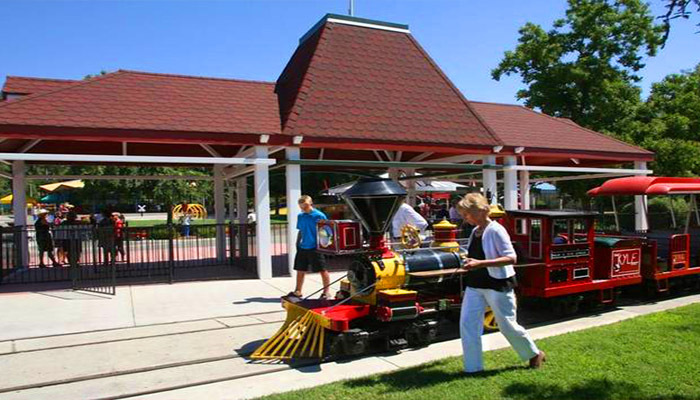 Support for Storyland can also come in the form of attending the Park, purchasing our Mother Goose One Year Annual Membership, or by making a tax deductible donation. It takes a lot of helping hands to make Storyland the magical place it is. Volunteers assist with the Park’s events, office work, admissions, entertainment, and grounds maintenance. We are always searching for people willing to dedicate a portion of their time to keeping Storyland whimsical, entertaining, and running smoothly. Volunteers should be passionate about making the park an exciting and educational environment that fosters a love of storytelling in children. Storyland employees typically work on weekends and holidays. All positions require punctuality, respect, kindness and positive attitudes. If you’re interested in working or volunteering for Storyland, please call 559-486-2124.